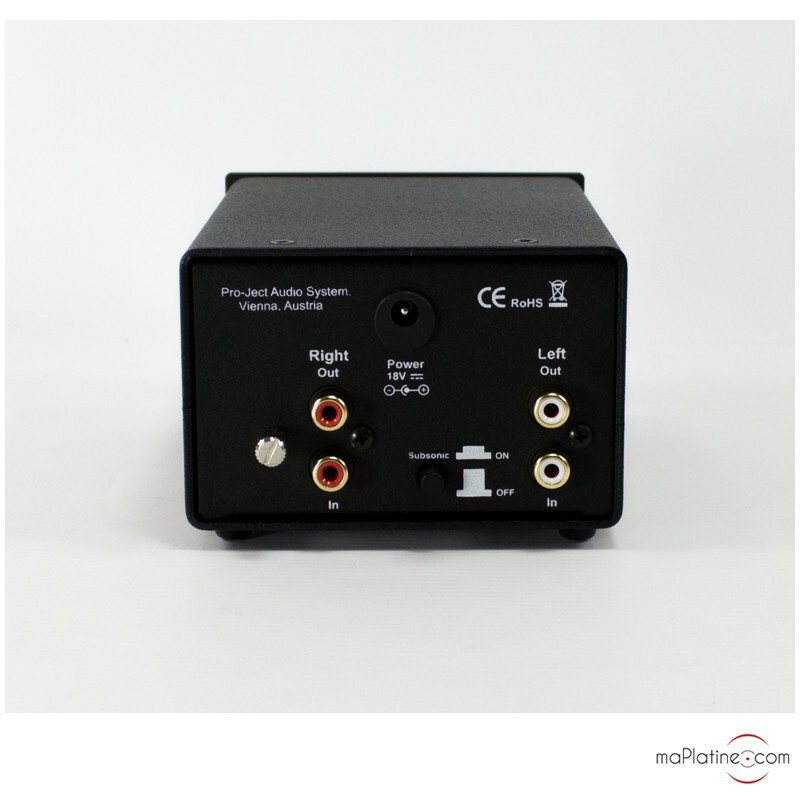 The Pro-Ject Phono Box DS phono preamplifier is replaced by the Pro-Ject Phono Box DS2 phono preamplifier. 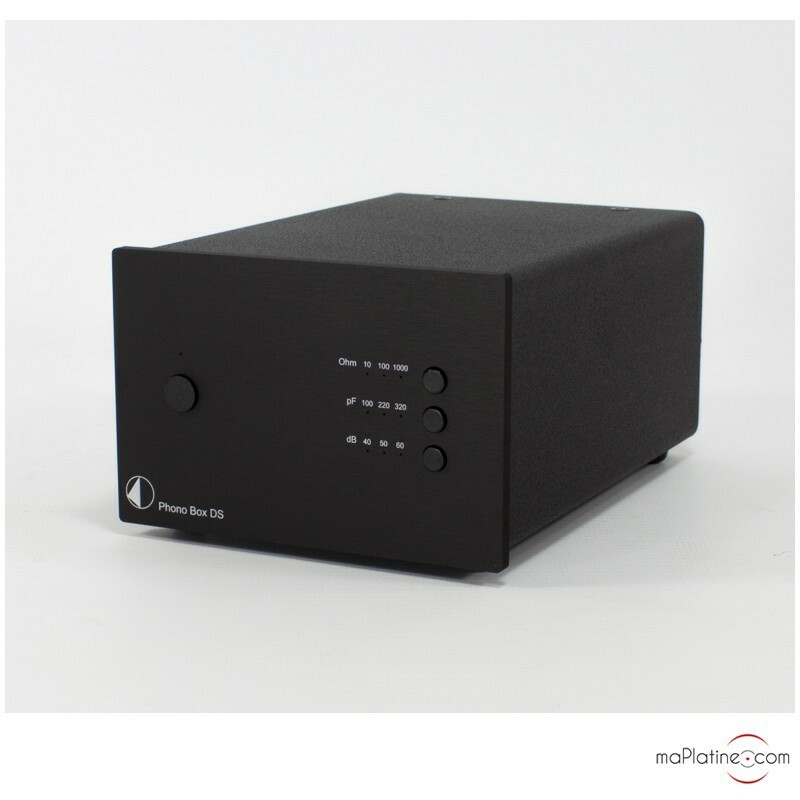 Pro-Ject's brand new phono preamplifier is the first in the range to have traded its conventional control switches for logical micro selectors on the front panel associated with beautiful micro LEDs. There are three of them, allowing for the adjustment of impedance (10, 100,1000, 47 KOhms), load capacitance (47, 100, 220, 320 pF) and gain (40, 50, 60 dB). These adjustments make it fully compatible with most commercially-available MM and MC cartridges. 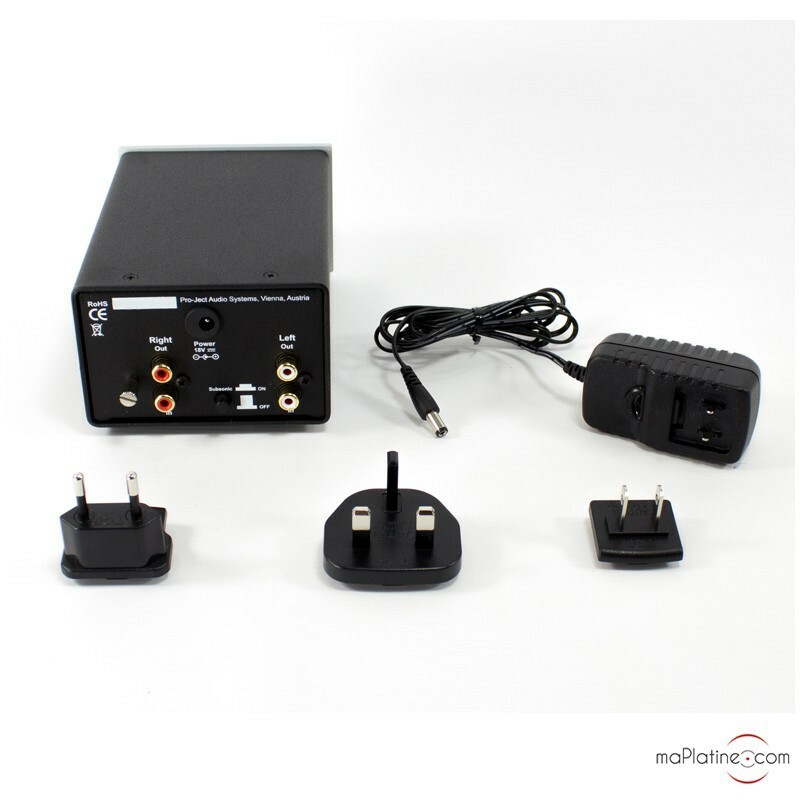 The rear panel features an RCA stereo input and output, as well as the conventional ground output socket. There is also a switch for the addition of a subsonic filter. The interior is meticulously crafted. The circuit has a dual mono architecture, with high quality components (polypro Wima capacitors, low noise Op circuit). The plinth contributes to the magnetic isolation and rigidity, the finish is understated and very elegant! It is very easy to use and there is not a bad word to say about it. We could even say that the front controls are very handy and a fun way of optimising the tuning of this cartridge by ear. We tested it with a system that had been switched on for 48 hours. 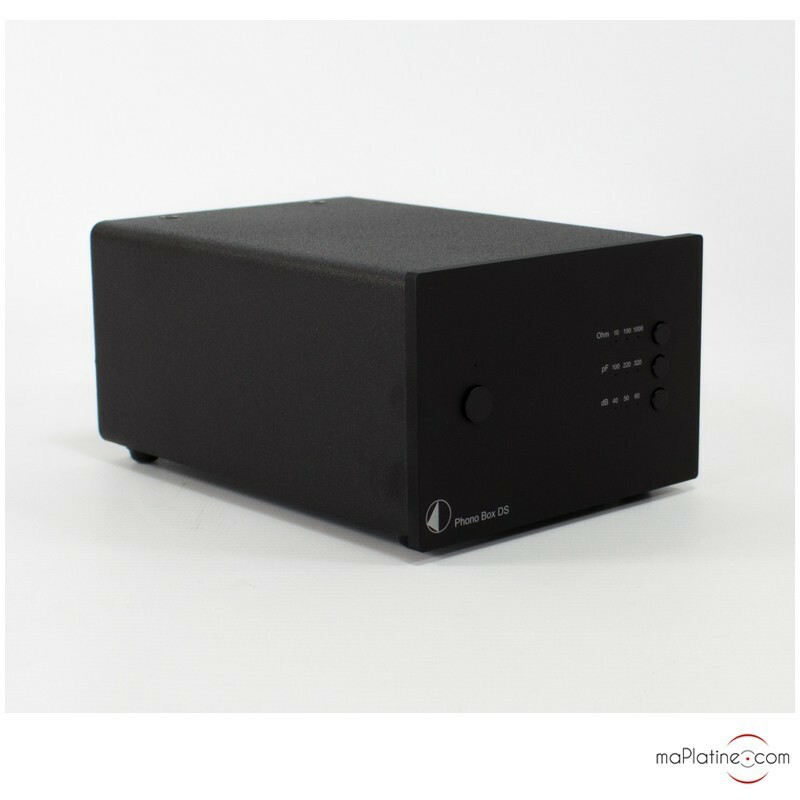 For the first trials we used an entry-level MM cartridge with our turntable (priced under €100). 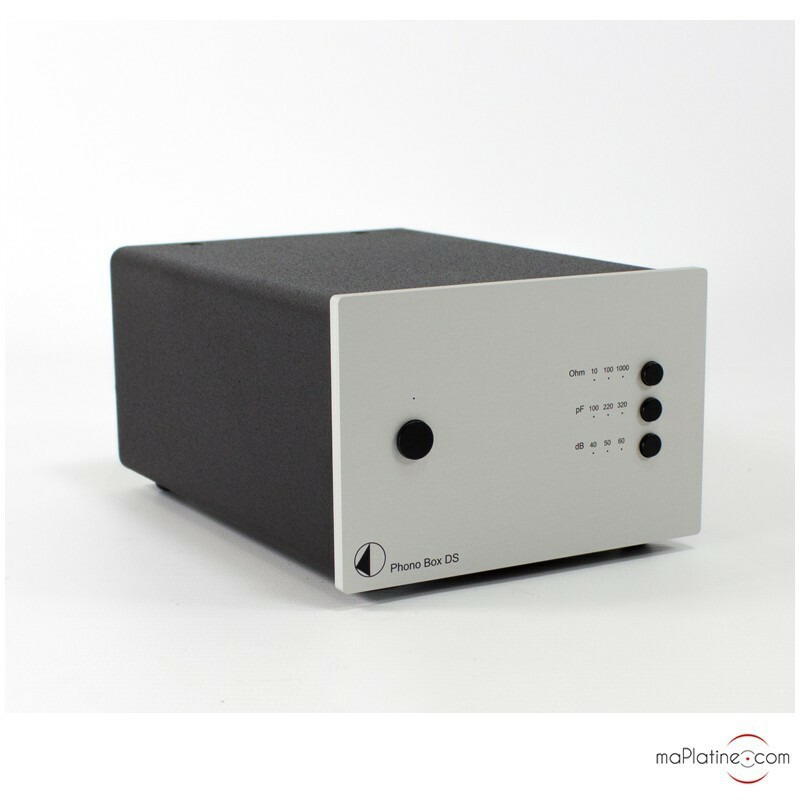 From the opening bars, Pro-Ject's Phono Box DS clearly makes a difference from entry-level preamplifiers and embedded phono stages on 'cheap' systems and even with some British and US products. The sound is detailed and well articulated. The overall transparency is far better than with other products in this range. The tempo is punchy without being too excessive with the fortes and over-projecting the brass and cymbal sections. But it yields the best results when paired with an MC cartridge. It is indeed often tricky to invest in this type of cartridge as it prompts a steep upgrade in terms of preamp. 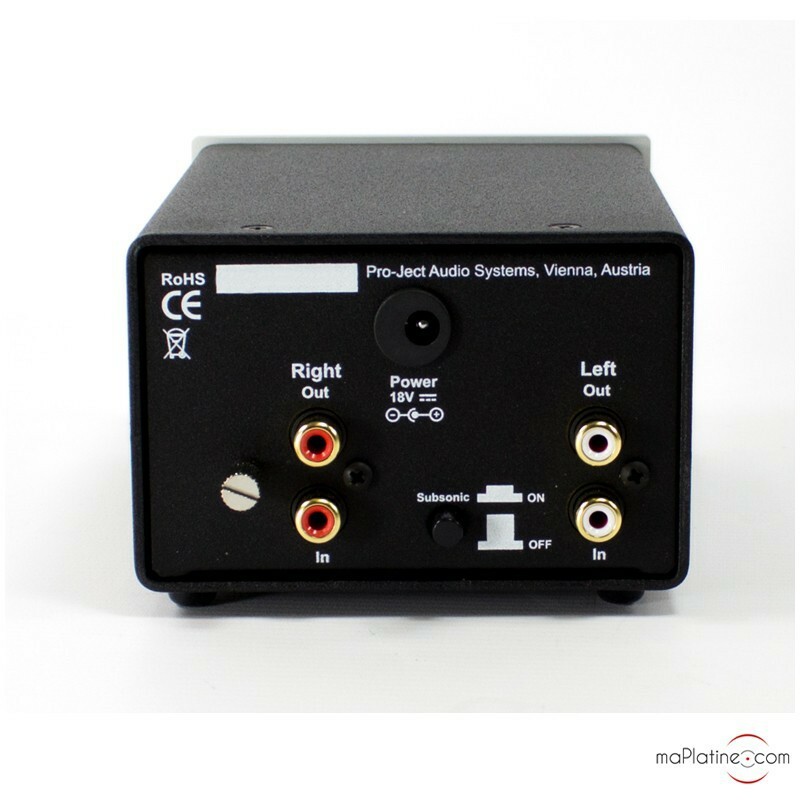 This Pro-Ject is a great solution for switching to a 'modest' MC and draw the best musicality from it. We tried it with a Benz Micro Gold and the result was quite surprising! The front-mounted controls do a great job at optimising the balance. 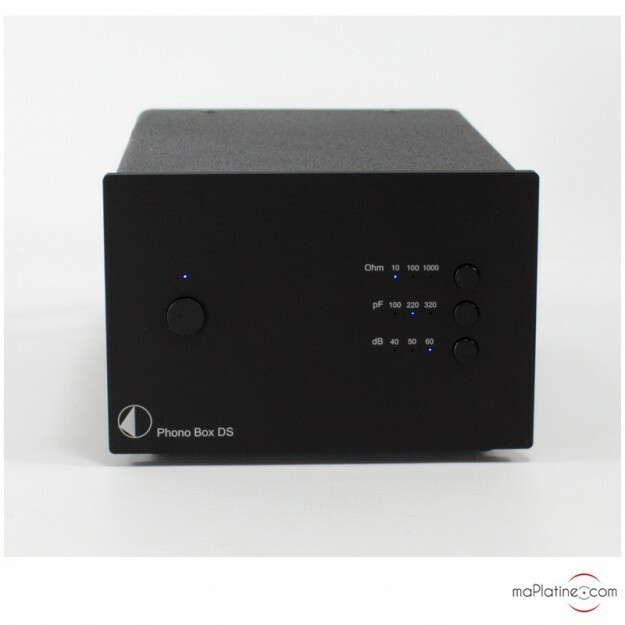 It's safe to say that the Phono Box DS is quite neutral, which makes it very versatile. 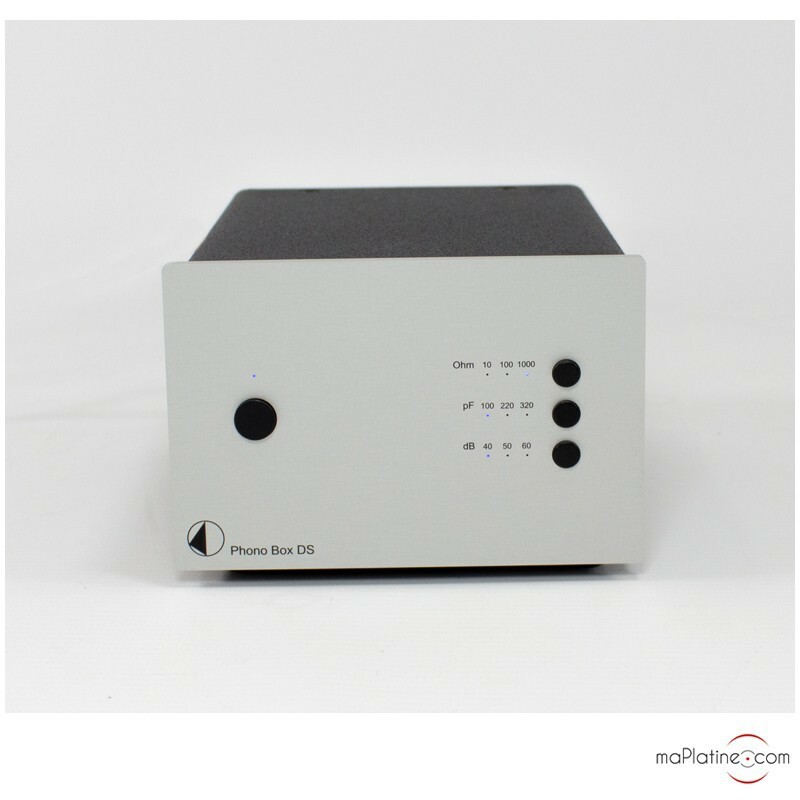 Its ergonomics, unique in this range, make it essential for those who want to get the most out of their cartridge without spending a fortune on a preamplifier. 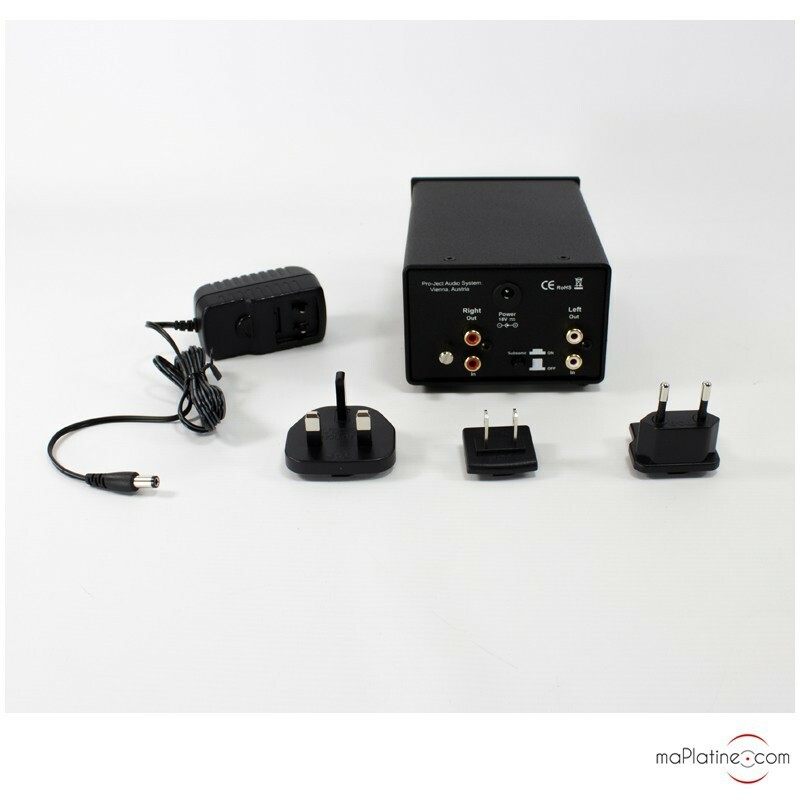 It can be paired with MM and MC cartridges ranging from €50 to €450. A top pick. Ce preampli est surprenant par sa qualité de restitution et de fabrication. J'apprécies ses possibilités de réglages en façade qui permettent d'ajuster "pile poil" avec la cellule en theorie et à l'écoute . Je suis surpris de tirer autant de musique de ma petite MC Ortofon VIVO ! Merci pour les conseils et le service haut en qualité .